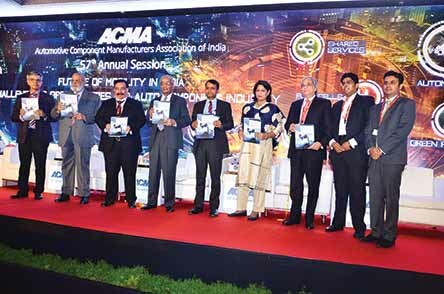 The 57th ACMA annual convention stressed on sustainable mobility, and a model that would best suit the Indian needs. Not out of the purview of the changes and disruptions that are, or have striked the Indian auto industry, the auto components industry, under the aegis of ACMA, in no uncertain terms, expressed its support for sustainable mobility. The stakeholders of the Indian auto components industry, at the 57th annual convention held at Delhi, spoke in favour of a greener tomorrow. The theme of convention, ‘Future of Mobility in India: Challenges and Opportunities for the Auto Component Industry’ aptly reflected upon the opportunities and challenges the industry is enjoying as well as facing. 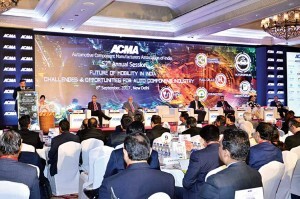 Calling for a need to focus on building the pace to tackle challenges, and to tap opportunities, the ACMA convention saw OEMs and government officials mark their presence two. 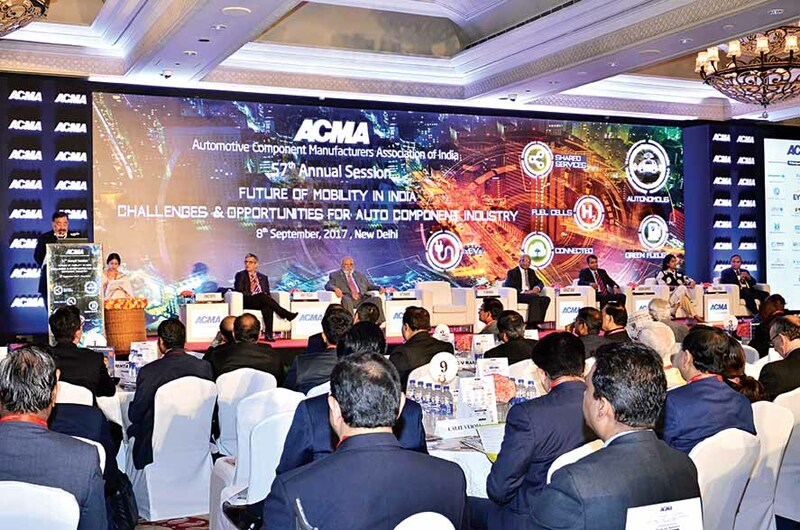 In his keynote address, Rattan Kapur, the outgoing president of ACMA, stressed upon the Indian auto components industry to integrate itself into a global supply chain. He mentioned that the industry cannot stay oblivious to changes, and that the need was to prepare for the transformation. “Our hands are full as we graduate from BSIV to BSVI emission norms. The move is about leapfrogging technologies in a very short span of time, and is calling for significant investment and skill development,” opined Kapur. Touching upon the subject of emobility, Kapur averred that the progression to hybrids and fully-electric vehicles will provide an opportunity to acquire technologies. Said Vishvajit Sahay, Joint Secretary, Department of Heavy Industries, Government of India, in his address that the industry needs to be not only technology-ready, it also needs to build capacity. To succeed there is a need to acquire and train people, he said. Dr. Firodia mentioned that the industry needs clarity as both, the OEMs and auto components manufacturers, are able to ride the transformation wave. Stating that new technologies exist and are reasonably mature to be implemented in a matter of few years, Dr. Firodia expressed that the policy environment should lead to the progression, and towards a sustainable road map. 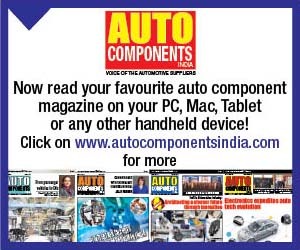 With the Indian auto industry contributing a little over seven per cent of the GDP, two-per cent comes from the auto components industry. Shobana Kamineni, President, CII, in her speech stressed upon smart manufacturing and skill development. R.C. Bhargava, Chairman, Maruti Suzuki India, drew attention to the options that lie in front of the country as it embarks on the journey and electromobility, and how they should be thoroughly evaluated. “India has its own set of challenges. 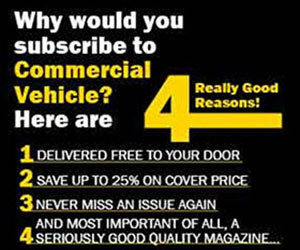 The need is to work together with the government and see what impact the EV policy has on the customers,” he averred. A study conducted by McKinsey for ACMA on the ‘Future of E-mobility’ was also released. It underscores trends like connectivity, shared mobility, autonomous driving and electrification. It also highlights the need of various stakeholders to work in tandem to carve out policies that facilitate local development of technology. Jayant Dawar, Co-Chairman and MD, Sandhar Technologies set the tone for the discussion. He expressed that India was on the verge of one of the most consequential disruptions in the history of the auto industry. “There is a need to plug all the ideas, including electric vehicles, shared services, connected vehicles, green fuels, and autonomous vehicles. 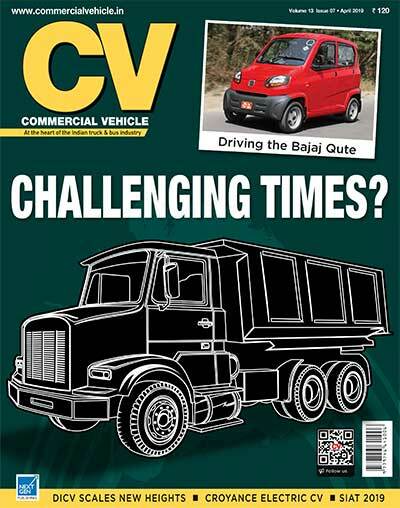 They should be bunched together, and a picture of how they will shape up transportation should be had,” mentioned Dawar. 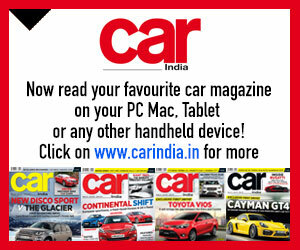 Dr. Pawan Goenka, MD, Mahindra & Mahindra, denied that IC engine will die anytime soon. He said, “By 2030, we are poised to make 16 million vehicles. We will still have a market for over 10 million vehicles. There will be EVs, the penetration of which, at the level of 20 to 30 per cent, should be considered as good.” Stressing upon investment in IC engine technology continuing, Dr. Goenka opined that improvements to IC engines will lead to them giving a tough fight to EVs. Mentioned Ashok Taneja, MD & CEO, Shriram Pistons and Rings, that India is a continent that pretends to be a country. “It is therefore important to have a India specific model, which will suit its affordability equation.” Stating that the success story in electronics hardware is zero, Taneja called upon the need to be prepared for electromobility; to search for the answers, and not panic. Thomas Flack, Chief Purchasing Officer, Tata Motors, opined that electrification may not assume a mass scale until it is adopted by the consumer. “India should not think that it is disconnected from the rest of the world. It is not just about electrification, but is also about shared services. It might take more time for the transition to electrification and cleaner fuels to happen. IC engine consumption will go down, and companies associated with them will feel the effect,” explained Flack. ACMA’s ex-president and managing director of Lucas TVS, Arvind Balaji, expressed that the intensity of consumer gains will dictate the trend. Disruptions have their own benefits and costs, he said. “It will not be good therefore to form an opinion now. The need will be to be flexible, and look at the options. We may actually move quicker than we think. It would all depend on the product portfolio. ‘Design in India’ and ‘Make in India’ are important therefore,” mentioned Balaji. 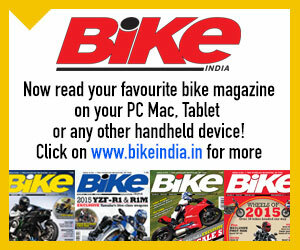 Vikram Kasbekar, Executive Director, Hero MotorCorp., said that asset utilistion will bring down costs, and drive a change. “While the move to BSVI will call for significant investments, it is difficult to imagine how things will unfold in 2030. The need therefore is to have products that can adapt, and to have equipment that can adapt as well. Manpower too will have to adapt to changes. All this will call for policy consistency. It is a prime factor that will help plan the capex,” averred Kasbekar. Jan O Roehrl, CTO and head of mobility solutions, Bosch India, called for the need to stay focused. He pointed at BSVI as a challenge, and the need to focus on it. Coming to an agreement that India requires an infrastructure that will differ from what is currently prevalent in other countries in the case of electro-mobility, the panelists underlined the need for government to play a major role and create the right supporting infrastructure. They underlined the fact that India has an advantage to adopt a system that best suits its needs. The panelists highlighted the need to adopt new technologies.